Samsung and Oculus have teamed up to power Samsung's premium smart phone line with its own dedicated virtual reality headset. With its own on-board sensors, a touch pad and adjustable optics the Gear VR creates an attractive mobile VR experience at a very reasonable price assuming you already have one of the premium compatible phones. With a Gear VR shipping for free with every S7 pre-order the number of Gear VR devices in the hands of consumers is likely to reach into the millions by the end of the year. In addition, there is a dedicated Oculus Store on which developers can distribute, promote and get paid for their content. With all of these advantages it is a very compelling case to create apps for the Gear VR. 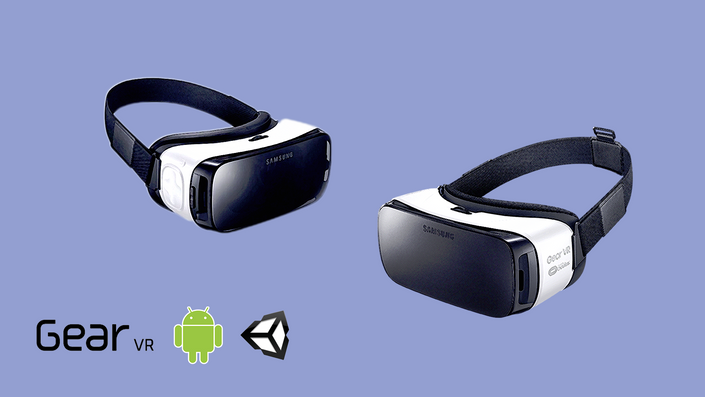 In this free mini course I will take you through the basics of creating games and experiences using the Unity game engine for the Samsung Gear VR.